Used in the exudate management in surgical wounds and laceration. 2. Micro contour to the wound bed, minimizing dead space where bacteria can grow. Dressing in silver and ionic silver provides a rapid an effective sustained antimicrobial activity even against certain antibiotics-resistants bacteria, superbugs the main disadvantage of this types of dressing is causing acute wound infection.it kills superbugs and other MRSA and VRE within few hours after applying. It’s simple dressing which enhances the wound healing process with an adhesive silicone border foam. Specially designed to adhere to surrounding skin and non-adhesive areas. It is a special type of dressing material to cover surgical Incision with waterproof viral and bacterial barrier. It minimizing infection and blistering. 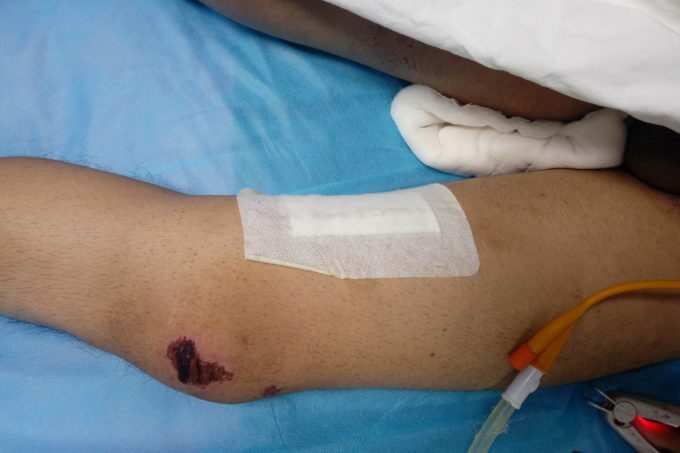 Its the good comfort for patients for application after the dressing. comfort to patients as well.